There’s no question about Spokane’s favorite wintertime spectator event. No, it’s not basketball. Though that’s right up there. It’s watching video of Seattle residents coping with snow. There is something about it that tends to make those of us on this side of the state feel, well, superior. I’m not sure we really deserve to feel that way, given our famous inability to slow down on the roads even a little bit when conditions warrant. Not to mention the unseemly infestation-level presence of cold weather crybabies in our midst. Still, there’s something about scenes of Seattle’s post-snowfall traffic follies and bare store shelves (after panic shopping) that can make a Spokane resident feel downright hardy. Even if you have your own misgivings about winter, watching humbled Seattleites flail around after snow can make us a tad smug. Oh, it’s not that we revel in the misfortune of others. Not really. Quite a few residents of Eastern Washington have Germans in their family tree, but this isn’t purely a matter of what they might term schadenfreude. And it’s not the case that we think 100 percent of Seattle residents are incapable of coping with even a whiff of winter. We know that’s not true. After all, a lot of them grew up over here. It’s just that Seattle residents have been known to occasionally be hurtfully dismissive of Spokane. We have feelings, you know. Or perhaps something slightly more elegant. This isn’t just theoretical. I do it myself. Once upon a time, I lived in the South. And the way a fair number of Seattle residents react to predictions of snow reminds me of certain Southerners who had just heard a rare blizzard was on the way. It occurred to me that, given the political and cultural leanings prevalent in each place, it might cut Seattleites to the quick to hear their Chicken Little behavior reminded someone of red states Dixie. Of course, there’s no call to be unkind about this. 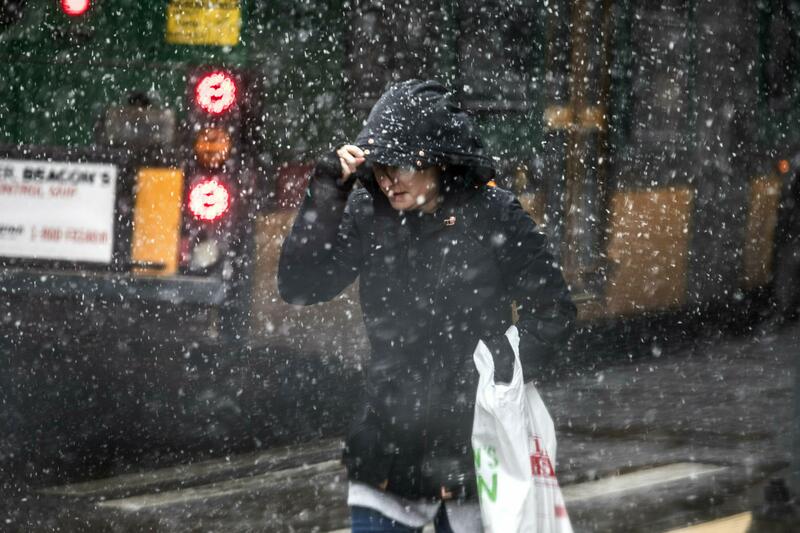 If Seattle residents were more accustomed to snow and ice, they might handle it better. Still, sometimes when we recall certain snide West Side attitudes about Spokane’s alleged similarity to Hooterville, it’s tempting to remember when rumors of snow over there led to a mad run on the artisanal cheese island. And judge them. Yes, it’s possible to feel superior to Seattle even when you are leaning on a snow shovel out in front of your affordable home. You didn’t have to grow up in Spokane to grow up with Spokane. A friend who read last Sunday’s column about growing up here vs. not growing up here reminded me of that last week. He spent his childhood in Montana and recalls when Spokane stations were among the limited offerings on TV when he was a kid. He knew all about “Starlit Stairway” and what have you long before he took a job in Spokane while a young adult. We all know about those who live outside the Lilac City, from Colfax to Colville, but who still regard Spokane as an occasional destination for shopping, medical specialists, et cetera. But sometimes I forget about people who grew up even farther away but were nonetheless exposed to radio and TV versions of Spokane. Like me and one or two others, she loved the Fabs. However, an acquaintance of hers much preferred the Monkees – the Prefab Four, as they were sometimes called. One problem. When the Monkees were scheduled to come to Spokane to do a show at the Coliseum, that acquaintance could not go to the concert because her mother insisted she honor a prior family commitment. She was devastated. Anyway, this family commitment involved going out to the airport. So that’s where her family went. Guess who she saw walking toward her at the Spokane airport? Yes. Davy, Mike, Peter and Micky – the Monkees. Columnist Paul Turner can be reached by email at srpaulturner@gmail.com.